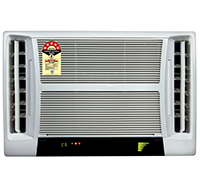 Contec air flow presents blue star make window a/c with aesthetically appealing design and superior performance. Our window a/c with certain advance modifications and exciting features. It includes low energy consuming compressor along with electronic thermostat and fuzzy logic controls.